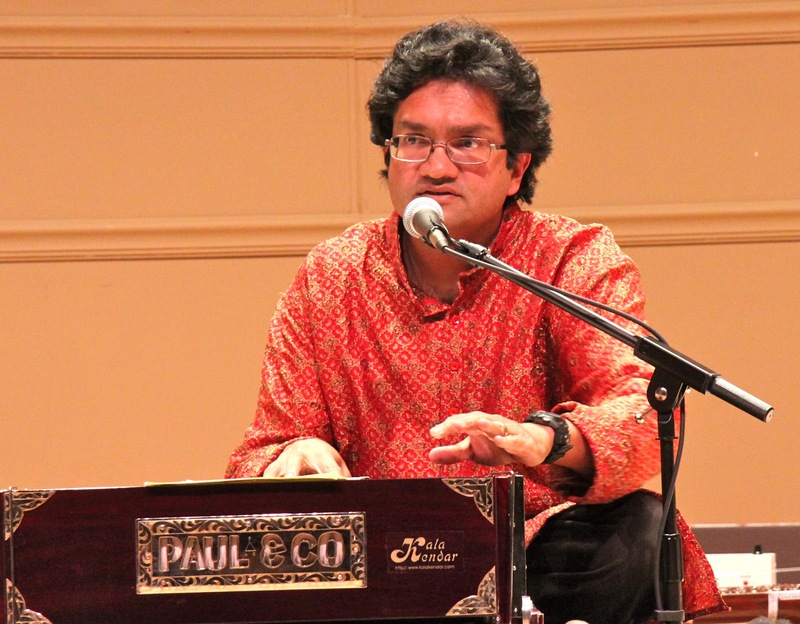 The ensemble, led by Dr. S. Raj Chaudhury, comprises students in a semester long class where they learn fundamentals of Indian classical and semi-classical music. The students in the group come from varied musical, educational and cultural backgrounds and thus bring a rich diversity of experiences with them. Spring 2015 members are Rasika Ramesh, Zachary Watson, Zachary Chandler, Alexander Horn, Lakshmi Krishnaprasad, Tyler Look, Ethan Pylant, Chaitra Gururaj, Gauri Desai-Shirgaonkar, Aniket Shirgaonkar, Ujan Mukhopadhyay, Dottie Bagwell, Susan Peterson, Joyeeta Das and Ameya Kolarkar.